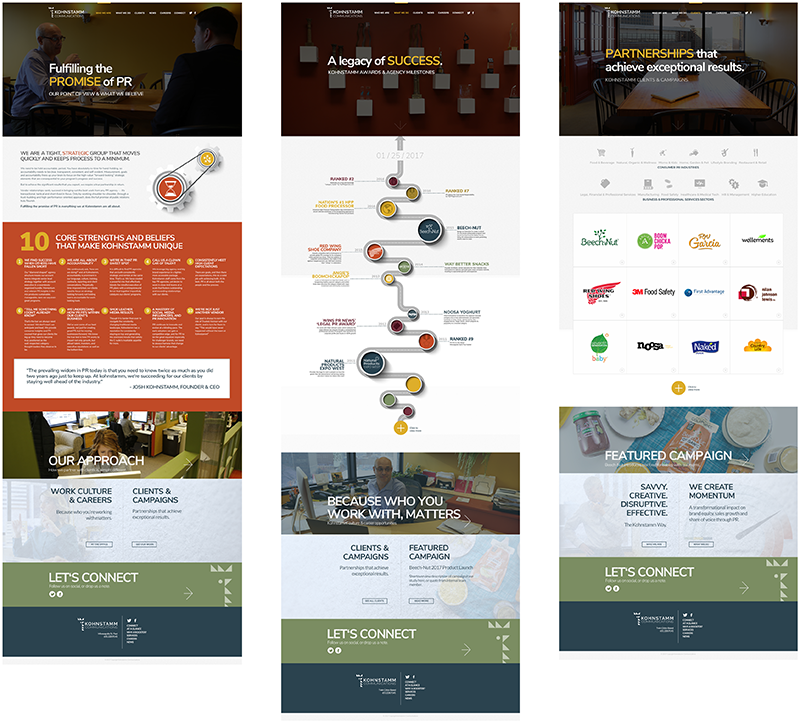 Breakdown a complex story of the company’s point of view, service offerings through a specific, strategic approach, industries served and who they are; then rebuild it into a simple, cohesive story and user experience – with lots of flair. Kohnstamm Communications is a 25+ year-old Public Relations firm in Minneapolis with an insanely impressive portfolio of clients and work. Their skills are unparalleled, their team has the pace and rhythm of a school of fish and a collective personality to elevate any negative Nancy into a laughing Lucy. Not to mention they have a CEO at the helm with more energy, experience, wisdom, heart and humor than anyone I’ve ever met. This company was already stellar, but needed a paint job and some updates to increase the curb appeal and better reflect what was on the inside. With complete trust and a shared vision, we dismantled the previous messaging, architecture and creative direction to create a savvy, disruptive and powerful messaging framework, brand look/feel and digital experience. In addition to a completely customizable, flexible and secure back-end that gives the Kohnstamm team the ability to grow, evolve and generate customer evidence content beyond any of their competitors’ capabilities. 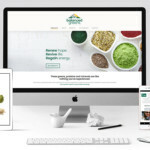 The final result was an interactive journey canvasing who they are, what they do and their robust Clients & Campaigns portfolio through a visual client section filter, interconnected Industries & Sectors section and various featured campaign areas throughout the site. This section is no joke, featuring over 100 case studies that can be filtered by 12 different Consumer PR and Business & Professional Services PR categories.